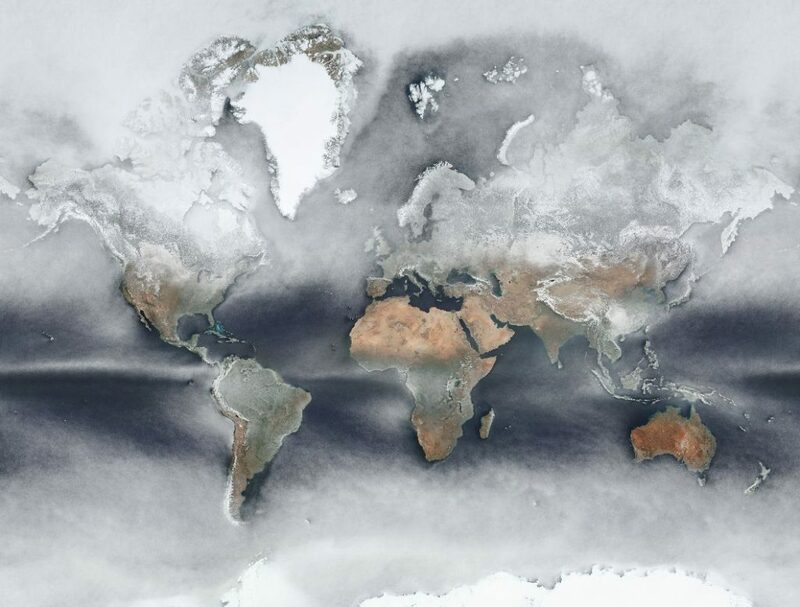 Johannes Kroeger has created a map which shows the average cloud cover around the world last year. The map below shows the medium cloud cover experienced at every location on planed based on information taken from daily high-resolution satellite images. Cloud cover distribution is related to the weather system, and sea surface heat situation, prevailing wind properties, coastal terrain, and etc. Two-Thirds (67%) of earth’s surface is covered by clouds. Over the oceans, it was estimated that less than 10% of the sky is completely clear of clouds at any one time, rising to 30% over land. The mean annual total cloud cover shows a general tendency to increase from the beginning of the series until the 1960s; at this point, the trend becomes negative. The linear trend for the annual mean series, estimated over the 1866–2010 period, is a highly remarkable (and statistically significant) increase of +0.44 percent per decade, which implies an overall increase of more than +6 percent during the analyzed period. Analysis of satellite data over the past decade shows that cloud tops are reaching higher into the atmosphere and that cloudy storm tracks are shifting toward Earth’s poles.